someone bisexual and cross-cultural--and deeper engagement with the world’s music. 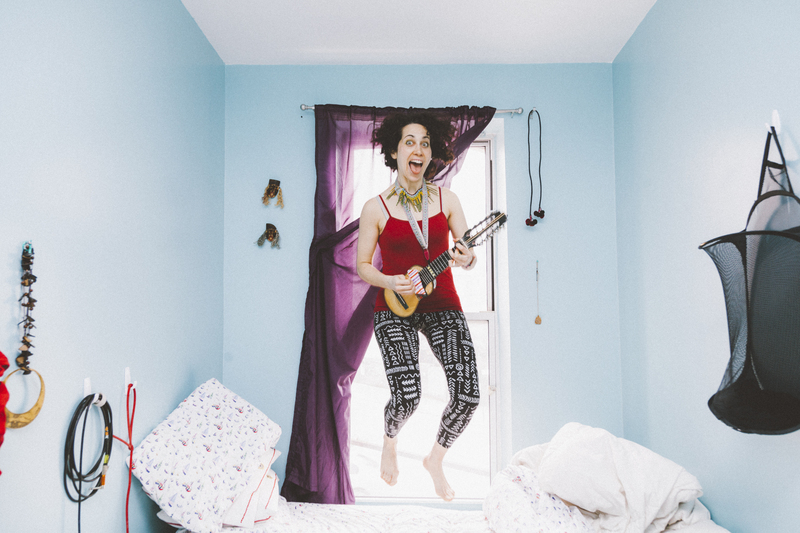 Honeybird (multi-instrumentalist singer-songwriter Monique Mizrahi) has honed her instinct for finding sweetness in unexpected places, like her winged namesake. From her California roots and early love of punk, coming into her creative own in Rome, Italy and now Brooklyn, Honeybird has chased more powerful engagement with her identity--as an artist, as someone bisexual and cross-cultural--and deeper engagement with the world’s music. Honeybird dives into thorny subjects of desire and identity (“TMBLGBT,””Wanted In Wanted Out,” “Come Out”), yet never strays from a straight-shot musical drive and intricate, engrossing arrangements. Winging soulfully through tropical and jazz elements, Mizrahi explores the possibilities of bass (“Je Suis Desolee”), Bolivian charango (“Look After Me”), and her gritty voice, with help from fellow bassist Ivy Wong (Verbier Festival Orchestra, performed with the NY Philharmonic), drummer and ngoni player Tim Keiper (Vieux Farka Touré, Dirty Projectors, Cyro Baptista’s Banquet of the Spirits), Italian multi-instrumentalist Enrico Gabrielli (Mike Patton’s Mondo Cane), and from multi-Grammy-winning producer Marc Urselli (Laurie Anderson, Lila Downs, Mike Patton, Lou Reed). Honeybird has spent her life zigging instead of zagging. Raised in Hollywood by her Sephardic father and Yiddish mother, she picked up the electric bass as part of a teenage obsession with the LA punk and funk scene. 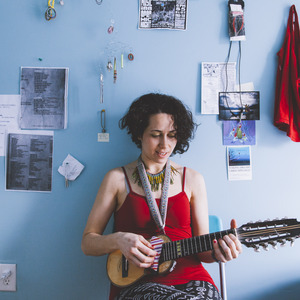 (That punchy non-conformist vibe is palpable on tracks like “Please Mona Please” and the pounding “Ex-Spearmint.”) Mizrahi began writing songs then, songs that dealt with her nascent sense of her many-sided sexuality among other topics. Yet it was hard to find kindred spirits to play with. That changed when she moved to Rome, to turn over a new leaf. Starting over wasn’t easy, yet it proved wildly productive. “I found myself quite alone. I didn’t have a network of friends and family. I started writing a lot,” recalls Mizrahi. “All of a sudden, I’m in this completely different culture. I got to know myself a lot more, and I became more honest about my own expression. I wrote poetry, then songs, then started playing out more, at all the little clubs in Rome.” She took on the moniker Honeybird. Honeybird grew from a one-woman show to a successful European touring band, playing 20 countries, some of the continent’s best-respected festivals, and TV and radio in Italy and Germany. Despite the success, Mizrahi decided she needed new horizons. She wound up in Brooklyn. Such peregrinations have long inspired Honeybird. A trip to Bolivia introduced Mizrahi to the beauties of the charango. 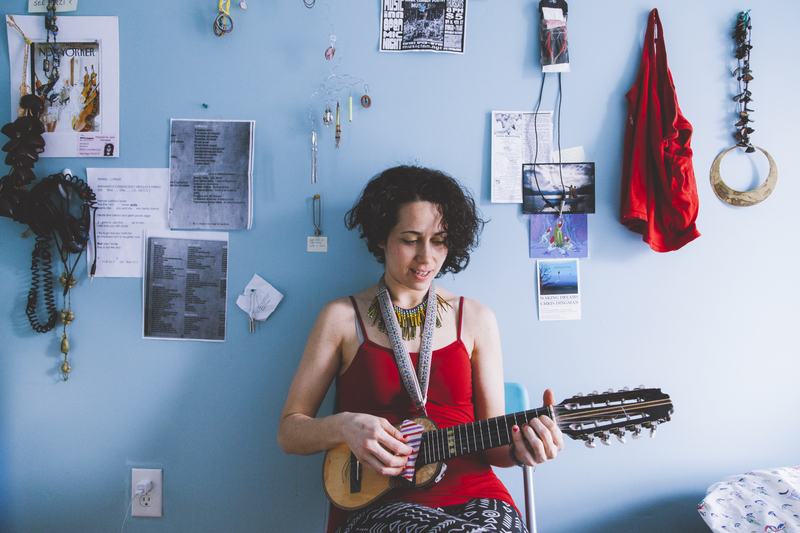 “I brought back a traditional Andean instrument that sat around in a corner for two years,” she says. “I picked it up one day, because I was writing more songs. I started to play it all the time. It’s a unique instrument, with ten strings, and it’s very inspiring. I came up with my own tuning and approach.” That approach shines on “Look After Me,” the album’s emotional closing moment. Mizrahi finds inspiration in other unexpected places, be it the Malian vibe of the interlude “88 Bi Dead Chickens” and the ngoni on “Look After Me,” or the eclectic Lusophone elements behind “Angola,” a tribute to a Portuguese friend, Brazilian capoeira, and legendary Angolan warrior women. Women’s lives and tales shape other songs in more subtle ways, be it the declaration of freedom by a prostitute, sick of her client (“Good Job”) or the heart-wrenching journey of a young woman trying to reunite with her family (“Must Get to You”). The blend of sound, the interwoven stories that tie personal and political are natural to Honeybird, yet they have taken years to come to the surface and find an increasingly sophisticated expression. “This album, everything from moving to Brooklyn to talking more openly about sexuality, is all part of my recent musical appreciation of myself and those around me,” muses Mizrahi.”I’ve come to a place where I am just accepting myself, when there is no more self doubt.” It’s a nuanced confidence that rings out loud and clear on Out Comes Woman.